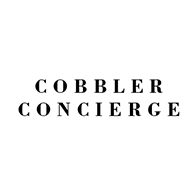 At Cobbler Concierge, we have some extraordinarily skilled craftsmen. So we decided to do something with all of this talent. That’s when we came up with our get one, give one program. If you send us a used pair of shoes or a handbag, we’ll repair and donate your items to women and men in the community. We are currently working with several organizations in New York City.